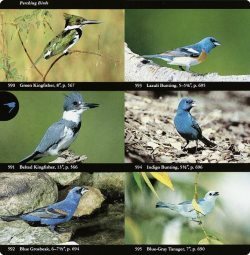 Bird Field Guides - Which One Is Best? Peterson Field Guides, Birds of Eastern and Central North America and Birds of Western North America. Below we will discuss the advantages and disadvantages of each, plus other popular bird ID field guides and birding apps, so you can choose which one best fits your birdwatching needs. The Nat Geo Guide includes all species known to breed in North America - described as the land extending northward from the northern border of Mexico, plus adjacent islands and seas within about 200 miles of the coast. Also included are species that breed in Mexico or Central America or on other continents but are seen in North America when they spend the winter here or pass through on regular migration routes. So if you plan to purchase only one guide and will be visiting areas across North America often, perhaps National Geographic would be your best choice. Peterson divides their field guides into Eastern/Central and Western Birds. The Eastern/Central Guide covers North America east of the 100th meridian. 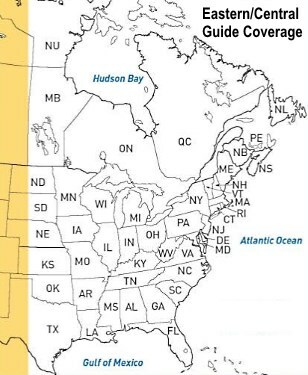 The Western guide covers North America west of the 100th meridian. Peterson states that people living in that ecological "twilight zone" described above will find that A Field Guide to Western Birds covers all species they are likely to encounter. Those of you who live in Texas may want to get National Geographic's Field Guide to Birds of Texas. There are advantages and disadvantages to each guide book. Some people like National Geographic because the range maps are on the same page as the bird description, while Peterson's maps are all in the back of the book. 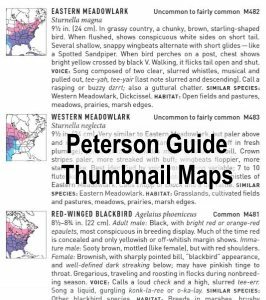 Edit: The latest editions of Peterson has both thumbnail maps next to the birds' descriptions for quick reference, as well as larger, more detailed maps (as shown in the photo below) in the back of the book. Peterson is the only bird field guide that has both. For each bird, there are arrows pointing to the most important field marks for identification. The font size of the descriptions are larger and easier to read than National Geographic's. I also like how categories of voice, similar species, and habitat are bolded and described within the description, making it easier to locate and read. And last, but certainly not least, I believe the Peterson paintings of each bird is superb compared to other field guides. Because there is a Peterson Western Field Guide and a Peterson Eastern/Central Field Guide which focus on the east or west regions, it's easier to find a bird than National Geographic's which covers all of North America. 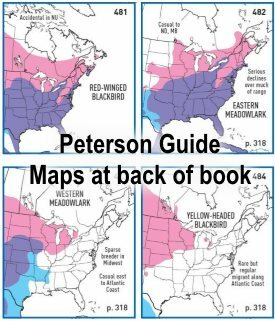 Note that there is now a Peterson Field Guide to Birds of North America, which combines their Eastern/Central and Western Field Guides into one book. I still prefer to use the separate regional guides. I don't have to thumb through lots of pages of birds that don't even occur where I live and go birding. The regional Peterson Guides, therefore, are especially useful to beginners. Older editions of the Peterson Guides always won over National Geographic's for size and weight. They were smaller and lighter, and fit easier into fanny packs, cargo pockets, etc.. But the most recent Peterson editions are now about the same size as Nat Geo's at 5" x 8". If you are looking for something more compact you may want to take a look at Sibley Guides, although at 4.8" x 7.8", they aren't that much smaller. I still prefer Peterson's, regardless of size, and is still the field guide I carry with me on most outings. Occasionally, I will take my smaller, older edition (4.5" x 7.25") in the field when I am going on longer, strenuous hikes. 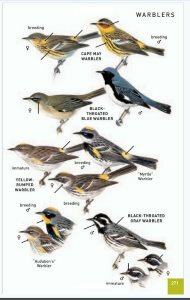 Note: There is a Peterson Field Guides: Eastern Birds, LARGE Format Edition of the Eastern Birds with larger, easier-to-read text and illustrations. If you're going to purchase one field guide, I don't recommend one that only has actual photographs such as Audubon's or Stokes. In a photo of a bird, you are seeing one individual of that species, in one light condition, in one molt stage, etc. It's also difficult to see field marks on photographs. Use these guides only as a secondary source. Although not really a bird identification field guide, I highly recommend the Sibley Bird Behavior series and the The Sibley Guide to Bird Life and Behavior. It has wonderful insight and details about common birds and their behaviors. Golden guides have not been updated since the 80s (only cosmetic features in 2001). The plates are more simplistic and don't offer as much detail, especially with juvenile plumages, alternate plumage forms, etc. 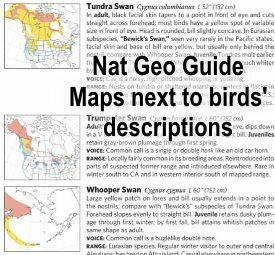 Their eastern guide has more detail, but the Birds Golden Guide is much more simplistic and can be a useful beginner guide, especially for children. However, you will soon outgrow it and want more details. The Most Awesome Warbler Field Guide Ever! 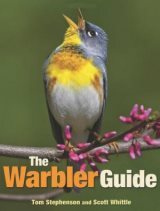 Check out our review of The Warbler Guide which is one of the best field guides I have ever seen. I'm not one to collect every bird field guide there is, but when I saw this one, I had to have it. Definitely worth every penny. Many birders agree. Whether you are a beginner birder or a seasoned expert, this guide should be part of your library. It has over 1,000 photos and lots of details so that you will never miss a warbler ID again. This is certainly not an exhaustive list and review of all bird field guides. There are many more, but I find the Peterson to have the best combination of bird illustrations, ID marks, easy-to-read text, and portability in the field, with National Geographic's, and perhaps Sibley's, as a close second. I personally own National Geographic, both Western and Eastern Peterson Guides, Sibley's, and Audubon's. I also have Sibley's Bird Behavior Guide for reference, as noted above, as well as the Stokes Bird Behavior Guides, plus too many other "about-birds" books to mention, i.e., specific books on hawks, shorebirds, hummingbirds, warblers, etc.. But on all my local outings, I only take my Western Peterson Guide. If I visit the East I take N.G. or Eastern Peterson or both. Hope you've enjoyed this review of bird field guides. Now get your field guide, go outside, find some birds, and enjoy the bliss! Best Birding Apps for iPhone - If you own a iPhone, iPad or iPod Touch or Android Device (Amazon Fire Tablets, etc. ), then these birding apps are a must have!